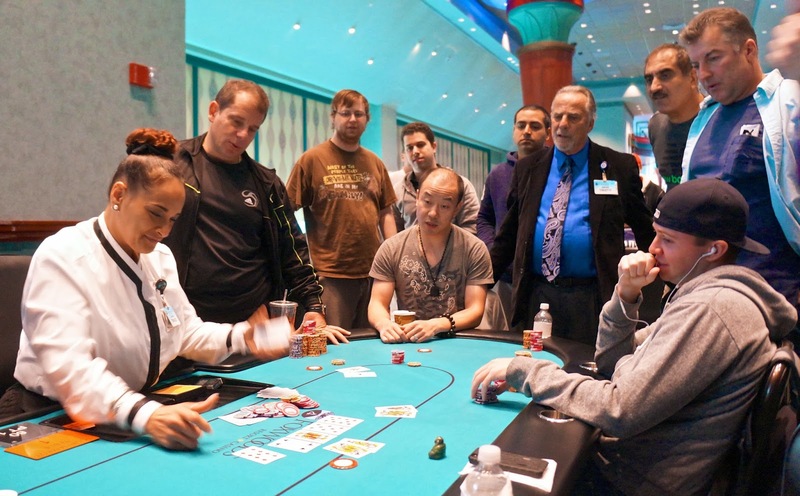 The final three players in the Foxwoods World Poker Finals Main Event have come to an agreement on a deal. Will Failla is officially the champion of the Main Event. Will takes home $128,306 as well as the World Poker Finals trophy and watch. 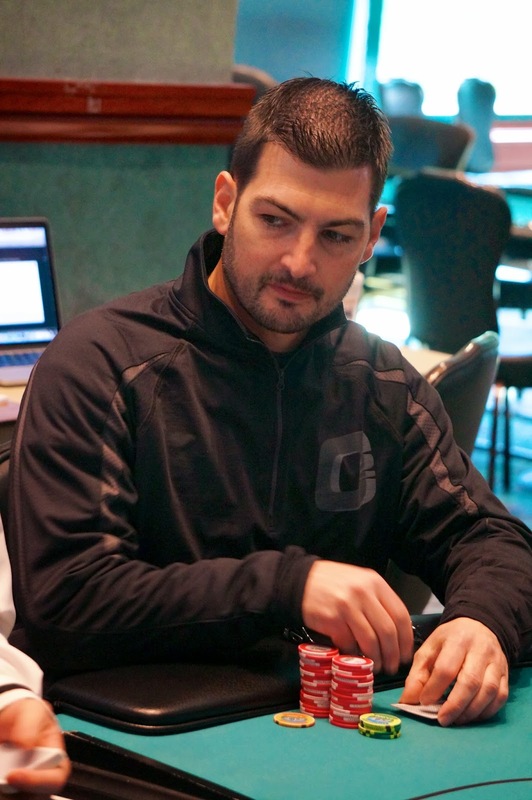 Tom Thomas officially finishes in second place for $120,000 while Chris Orme pockets $100,000 for his third place finish. The board runs out [5h][5s][4s][8s][7c] and Thomas wins the pot with his two pair. 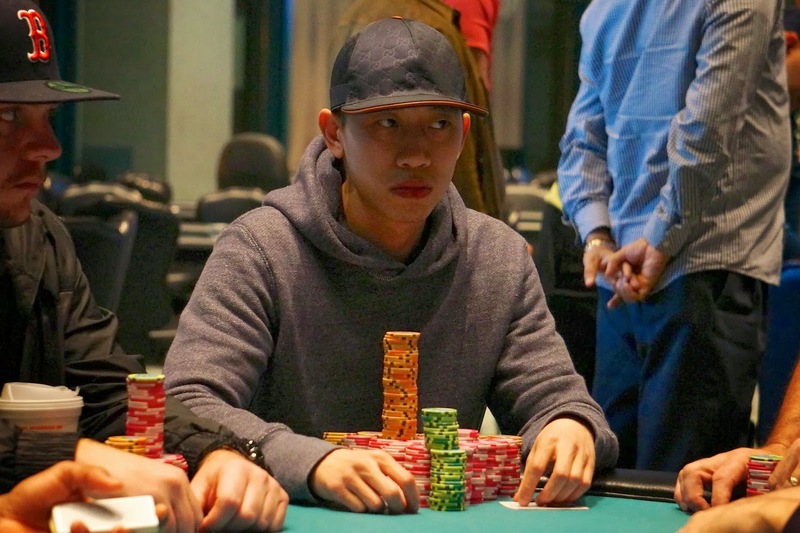 Daniel Chan is eliminated in 4th place for $54,048. The players are taking a quick 45-minute dinner break. When play resumes, the blinds will be increased to 50,000-100,000 with a 10,000 ante. 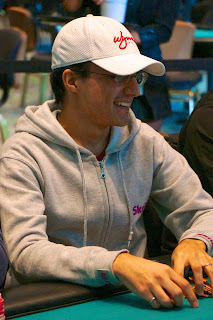 The board comes [9c][9s][4d][Qc][8c] and Failla wins the pot with his two pair. Carlos Chadha is eliminated in 5th place for $40,572. The turn is the [Ts] and the river comes the [As], giving Thomas a full house and the pot. James Magner is eliminated in 6th place for $32,443. The blinds will be increased to 30,000-60,000 with a 5,000 ante when play resumes. Will Failla raises to 110,000 with the blinds at 25,000-50,000. 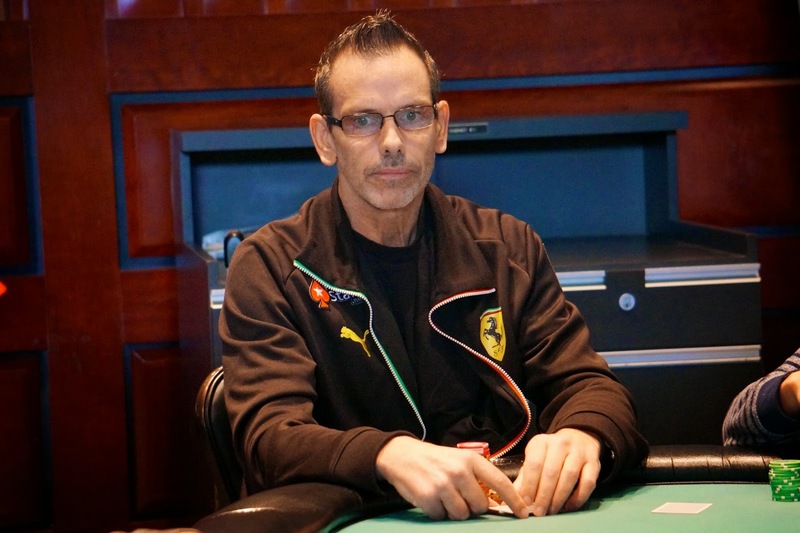 It is folded around to Bob Ricciuti, who moves all-in for around 600,000. The board runs out [Ts][8s][2s][7d][6d] and Failla takes the pot with his pocket kings. 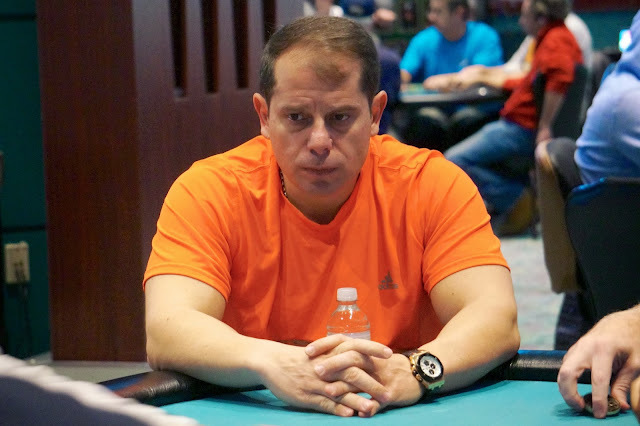 Bob Ricciuti is eliminated in 7th place for $26,950. 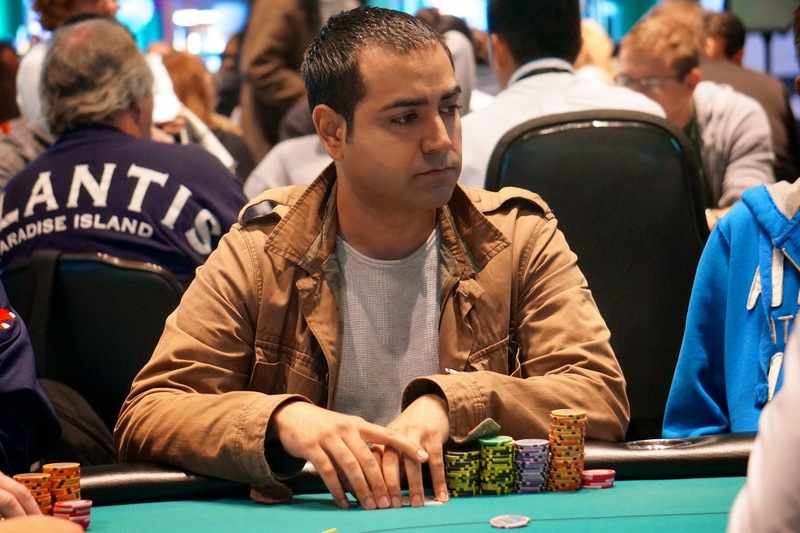 Carlos Chadha raises to 60,000 before the flop and is called by Tom Thomas. 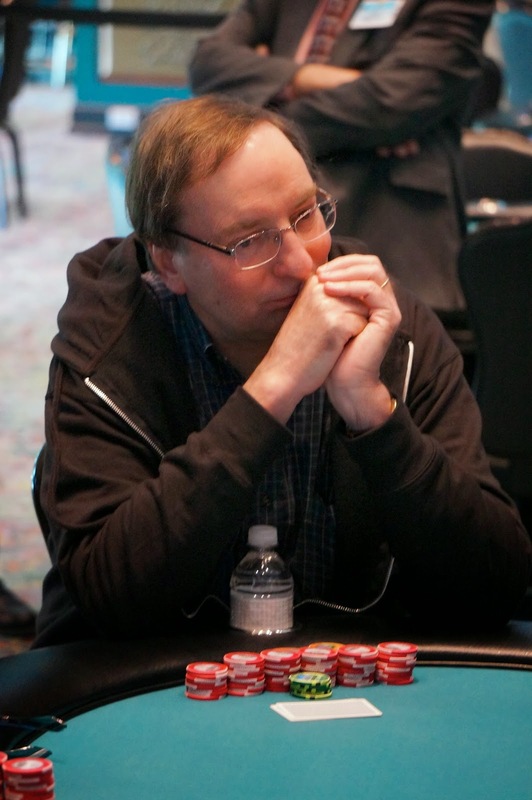 Steve Dakota Happas calls from the big blind, leaving himself 75,000 behind. The flop comes [Qh][8s][2d] and Happas put his last 75,000 in the middle. Both Chadha and Thomas call and the turn is the [7c]. 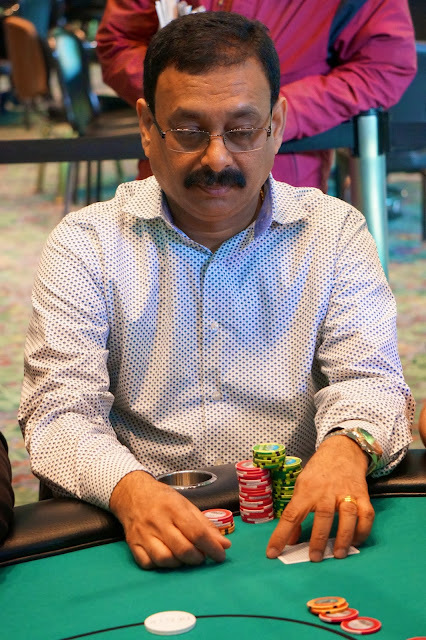 The river comes the [7s] and Chadha takes the pot with his two pair. Steve Dakota Happas is eliminated in 8th place, taking home $21,605. Shortly after losing a massive pot to Daniel Chan, David Paredes gets all-in for his last 93,000 with [Ad][Qc] against the [9c][6c] of Tom Thomas in the big blind. The board comes [Jc][9d][6h][6d][Kd] and Thomas takes the pot with a full house. David Paredes is eliminated in 9th place for $16,201. The board runs out [Jc][Jd][2h][Kd][2d] and Orme takes the pot with his better two pair. 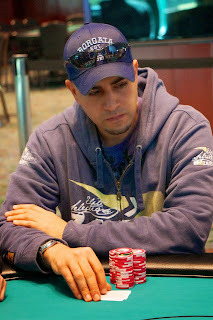 Ramy Ibrahim is eliminated in 10th place for $11,790. 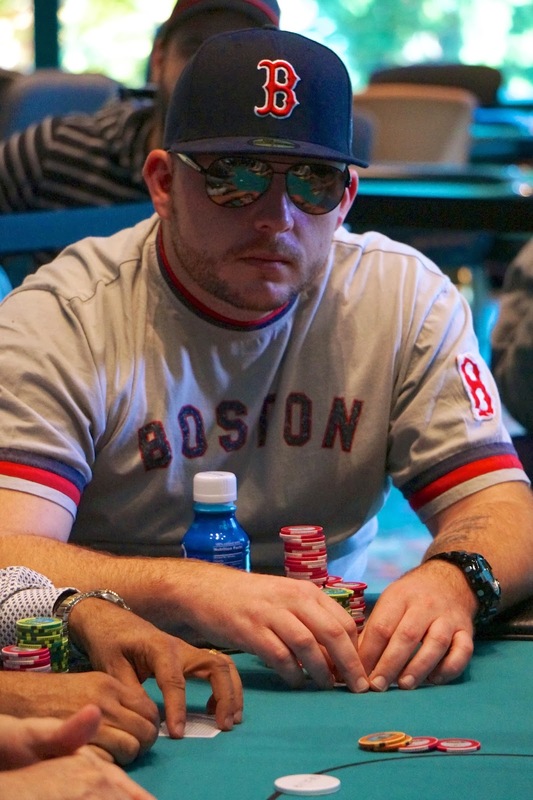 We have reached the final table of ten in the Foxwoods World Poker Finals Main Event. World Poker Finals Main Event Final Day is Now Underway and Streaming Live! 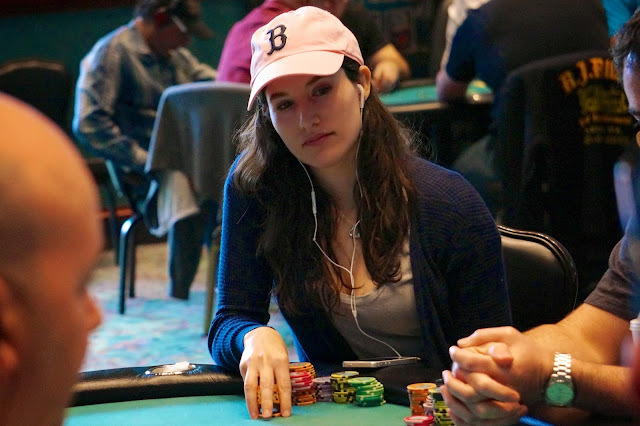 The final 12 players in the $2,700 No-Limit Hold 'em Foxwoods World Poker Finals Main Event have returned and cards are in the air. The blinds are currently 12,000-24,000 with a 3,000 ante. With 12 players remaining, the average chip stack is now 755,000. 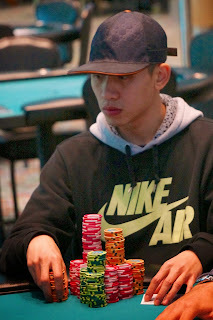 Daniel Chan (pictured) leads the final 12 with 2,589,000 in chips. Play Concludes on Day 3 with Daniel Chan in the Chip Lead! 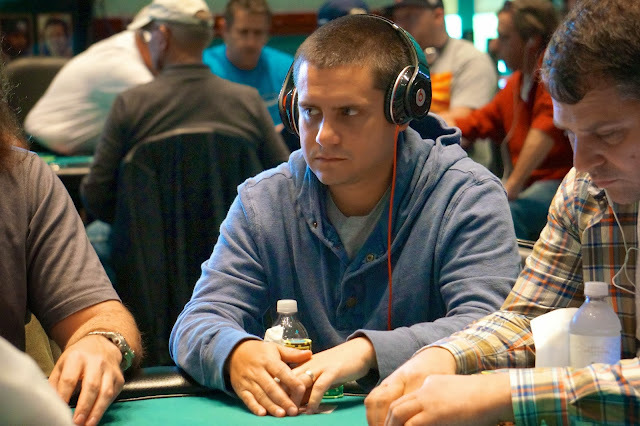 Play has come to an end on Day 3 of the Foxwoods World Poker Finals Main Event with 12 players remaining. Daniel Chan leads the field going into the final day of play with 2,589,000 in chips. Play will resume on Monday at noon. 973k to end day. 12 people left. Avg stack 755k. Guaranteed $11,790. Resume at noon tomorrow. @FoxwoodsPoker main event. 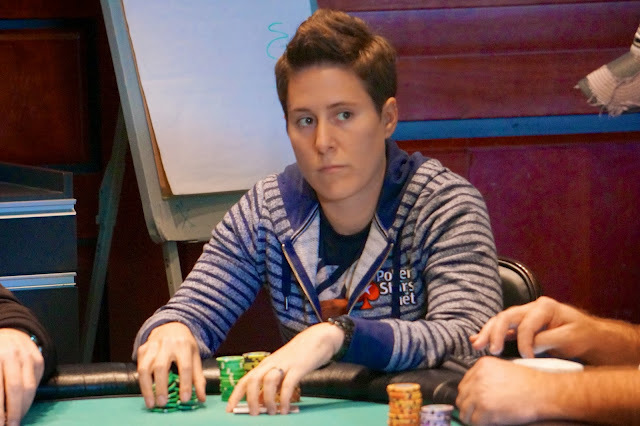 An incredible World Poker Finals has come to an end for Dena Pearlman. 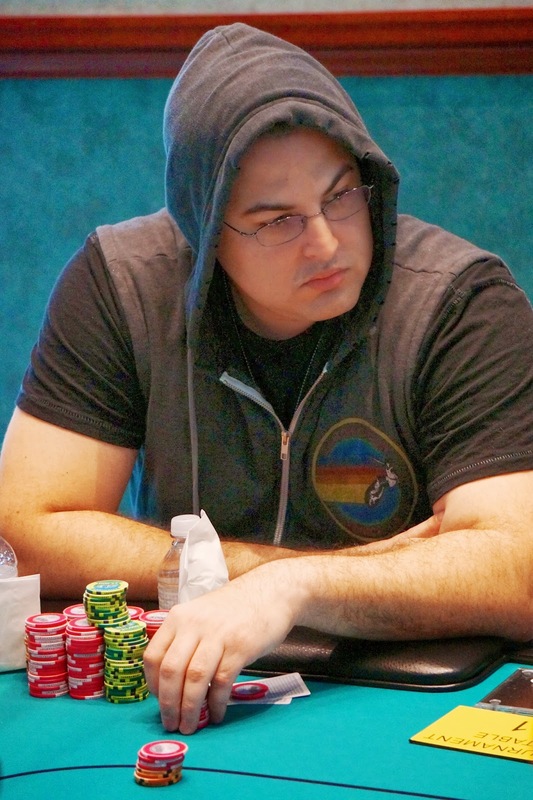 Pearlman, who won two events this series already, was just eliminated from the Main Event in 14th place for $9,667. 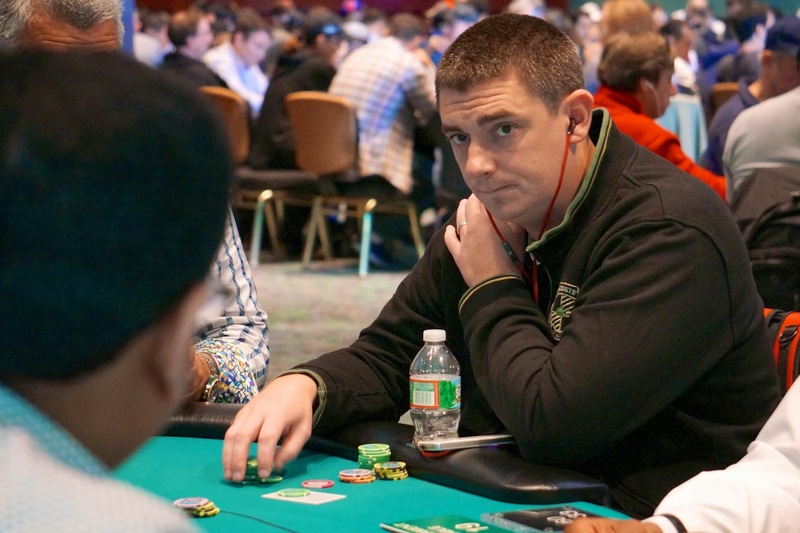 We are down to the final two tables of the Foxwoods World Poker Finals Main Event. Players have just gone to break and will come back to blinds of 8,000-16,000 with a 2,000 ante. 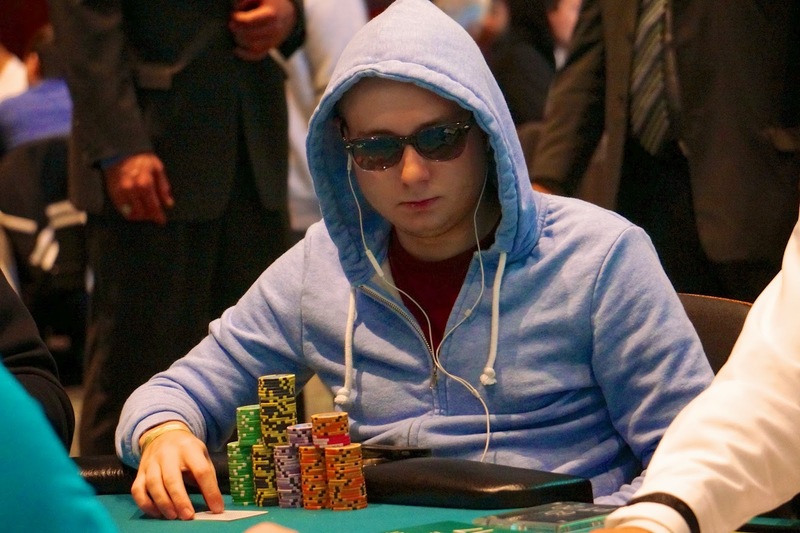 The Money Bubble Bursts in the Foxwoods World Poker Finals Main Event! After about an hour of hand-for-hand play, we are now in the money in the Foxwoods World Poker Finals Main Event. The unfortunate bubble boy was Aaron Smith, who has now been the stone-cold bubble in the World Poker Finals Main Event for two years in a row. The final 36 players are now all guaranteed at least $4,979. 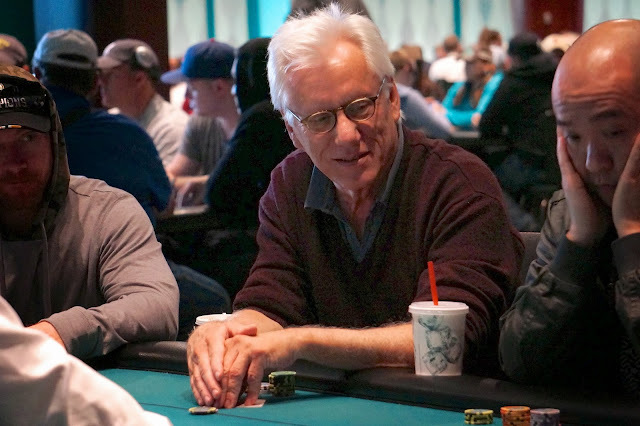 After a three-way all-in (pictured above), the remaining 37 players in the Foxwoods World Poker Finals are now on the money bubble. After the elimination of one more players, everyone will be guaranteed at least $4,979. We are down to the final 41 players in the $2,700 No-Limit Hold 'em Foxwoods World Poker Finals Main Event. 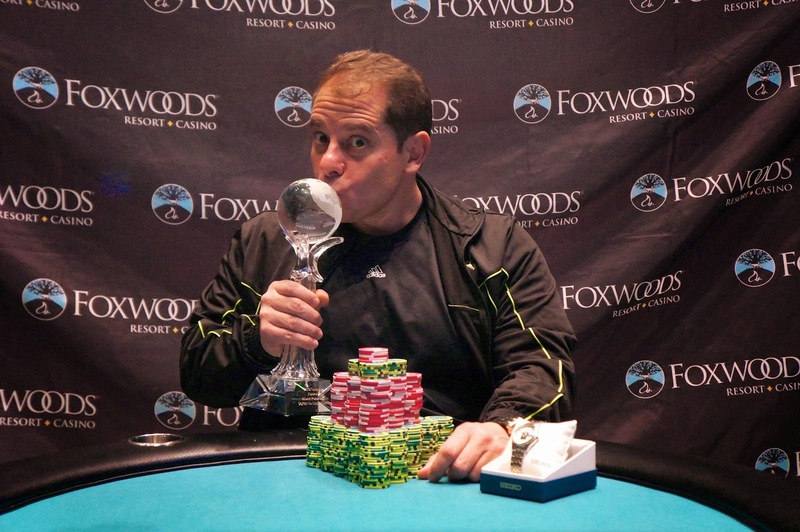 We had a total of 222 entrants in the $300 No-Limit Hold 'em Foxwoods World Poker Finals Championship Weekend Special. The final 27 spots will finish in the money with first place taking home $13,174. 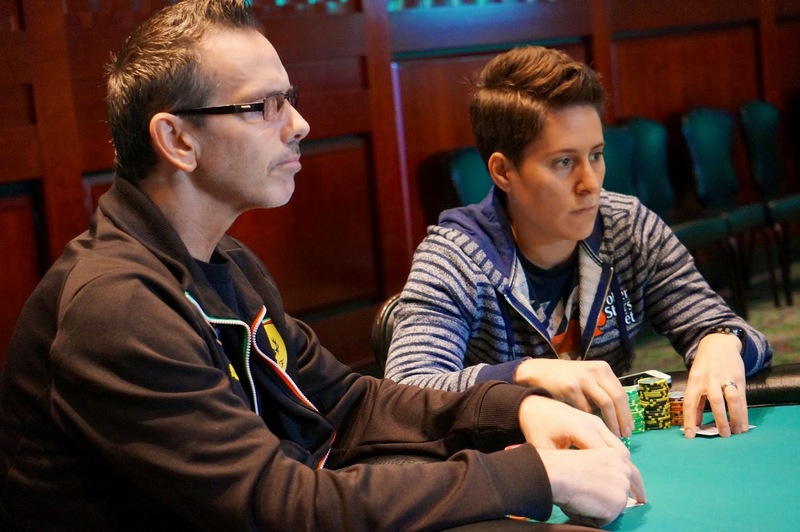 Day 3 of the World Poker Finals Main Event Underway and Streaming Live! Day 3 of the $2,700 No-Limit Hold 'em World Poker Finals Main Event is now underway. 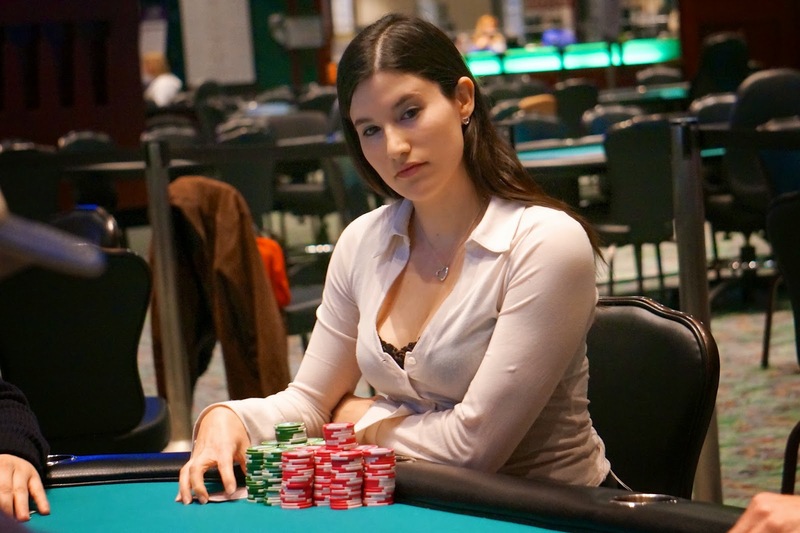 There are 56 players remaining and the average chip stack is 162,000. 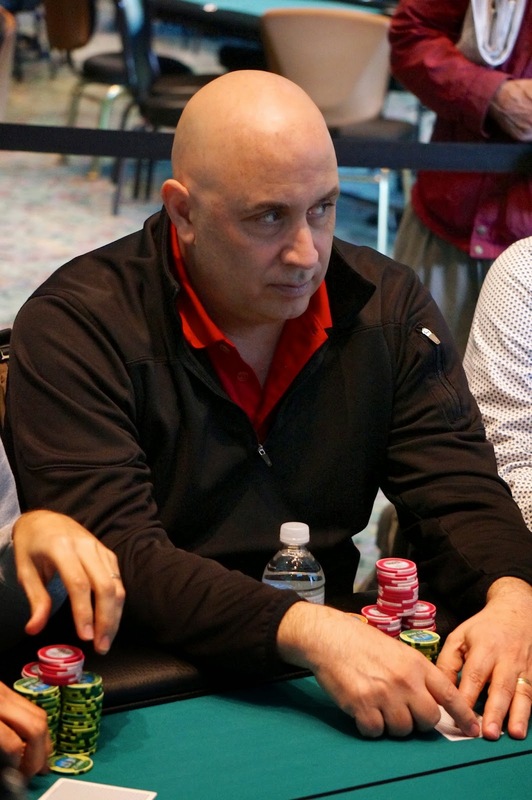 Bob Ricciuti leads the field with 433,500. 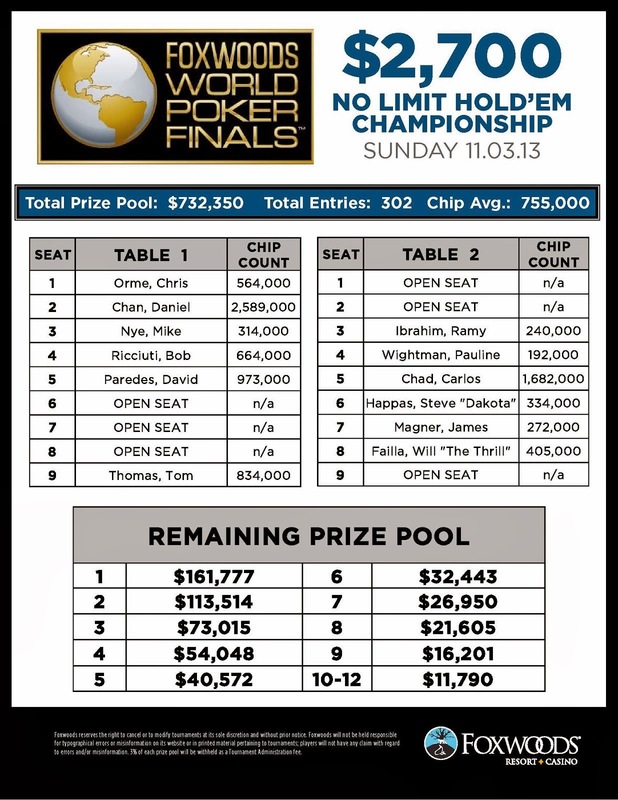 You can view the full Day 3 chip counts and seat assignments by clicking here. 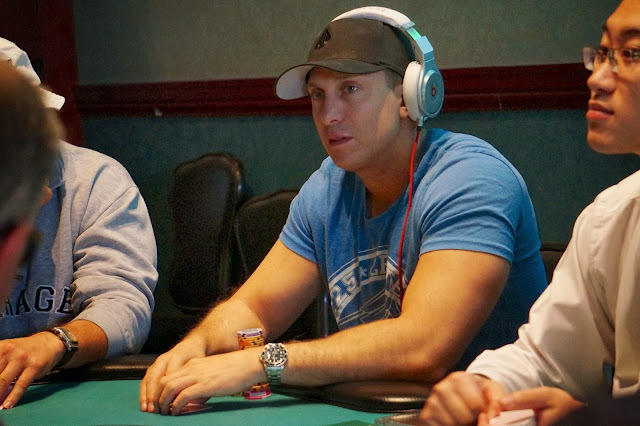 The blinds are starting at 2,000-4,000 with a 500 ante and all levels are one-hour in length. Alexander Petrucelli Wins the $300 Championship Weekend Special Event! 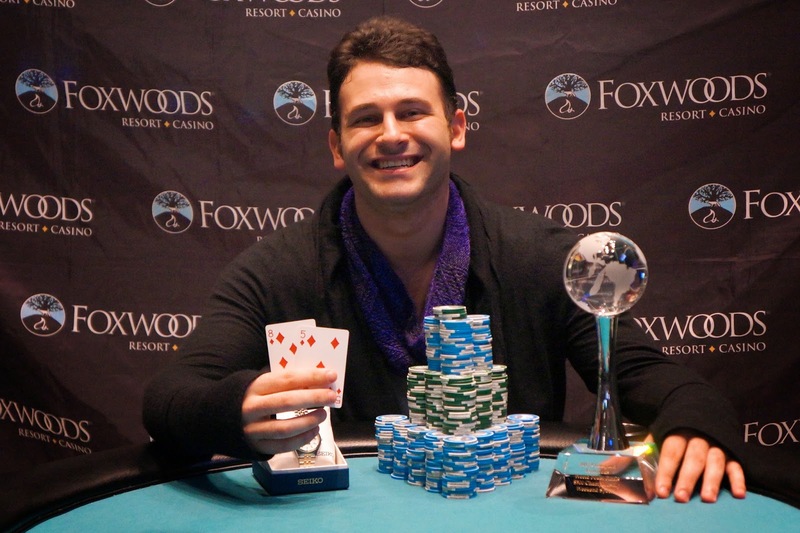 Congratulations to Alexander Petrucelli, winner of the $300 No-Limit Hold 'em Championship Weekend Special event at the Foxwoods World Poker Finals. 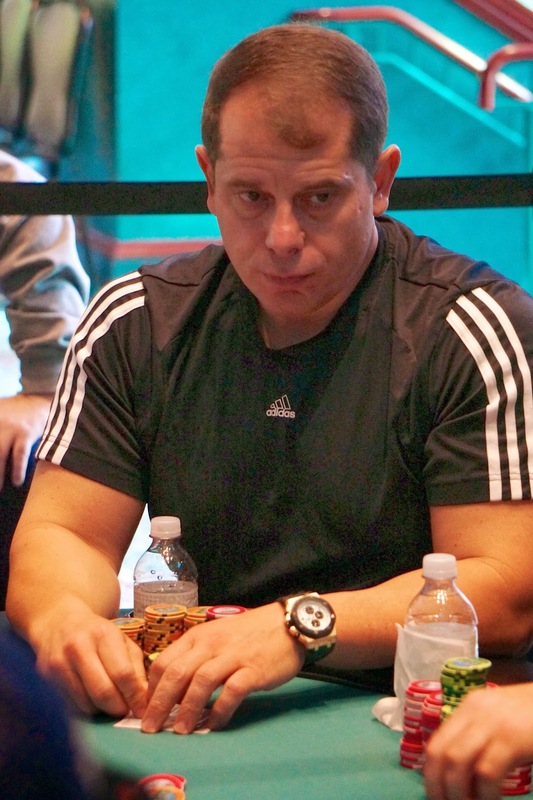 For his victory, Petrucelli takes home $15,154 as well as the World Poker Finals trophy and watch! We have another Championship Weekend Special $300 No-Limit Hold 'em event starting at 10am on Sunday. 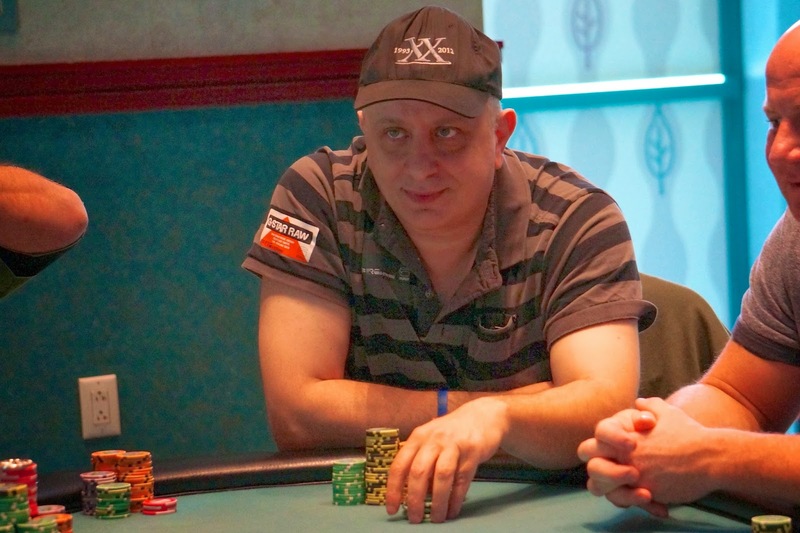 Play has come to an end on Day 2 of the Foxwoods World Poker Finals $2,700 No-Limit Hold 'em Main Event. 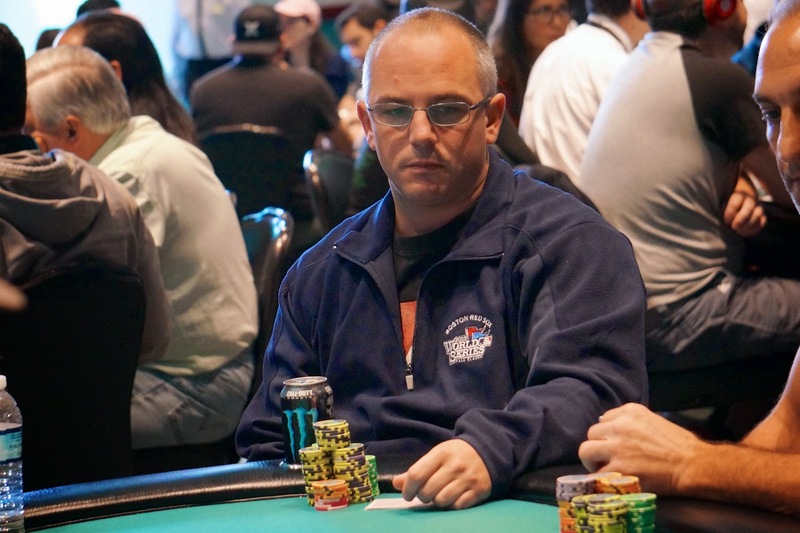 There are now 56 players remaining and the average chip stack is 159,000. Bob Ricciuti is the end of Day 2 chip leader with 433,500. Play will resume at noon on Sunday with the blinds at 2,000-4,000 with a 500 ante. Full chip counts and Day 3 seat assignments will be posted as soon as they are available. We had a total of 272 entrants in the $300 No-Limit Hold 'em Foxwoods World Poker Finals Championship Weekend Special. The final 36 spots will finish in the money with first place taking home $15,154. We will be holding a second $300 Championship Weekend Special Sunday at 10am. Players have just returned from their final break of the day. Cards are back in the air with the blinds now at 1,200-2,400 with a 300 ante. There are now 81 players remaining and the average chip stack is just under 112,000. We complete this level and one more before the end of play on Day 2. Day 3 will resume at noon on Sunday. 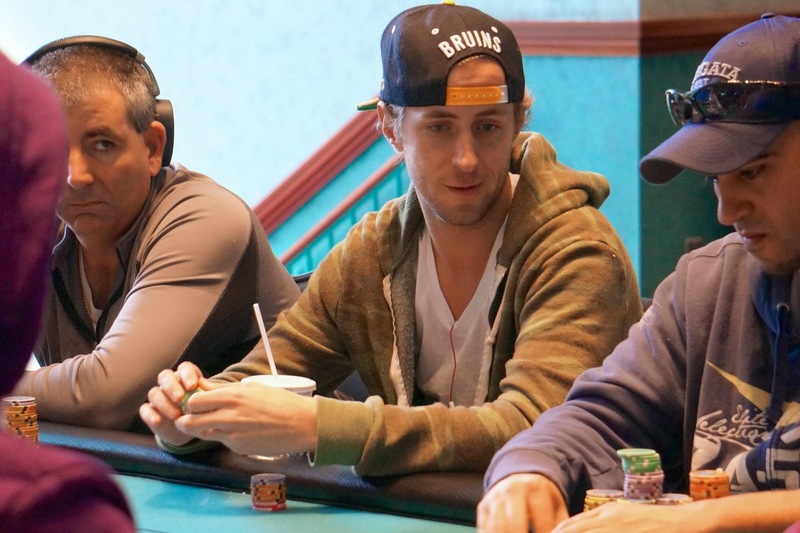 The players in the $2,700 No-Limit Hold 'em Foxwoods World Poker Finals are now on a 15-minute break. There are currently 107 players remaining and the average chip stack is now just under 85,000. Play will continue today for four more levels, ending at approximately 8:45pm. Vanessa Selbst (right, with Chad Brown) has been eliminated from the WPF Main Event. 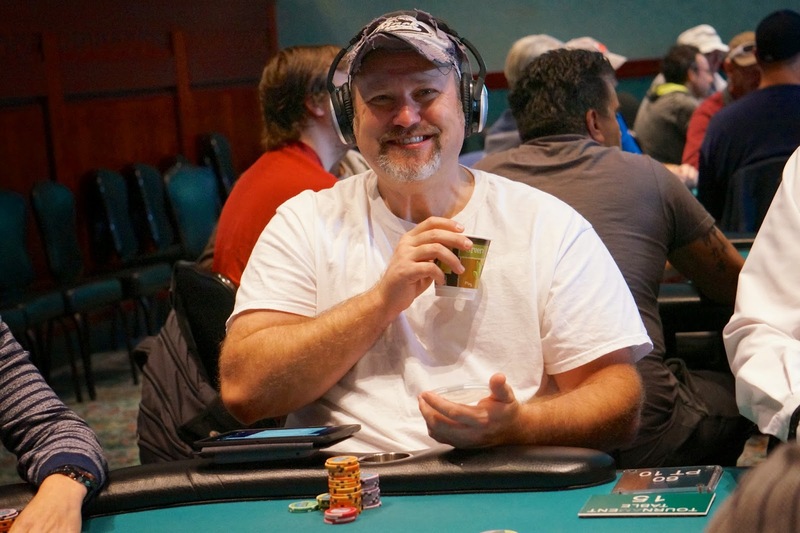 We had a total of 302 entrants in the $2,700 No-Limit Hold 'em Foxwoods World Poker Finals Main Event. The final 36 spots will finish in the money with first place taking home $161,777. 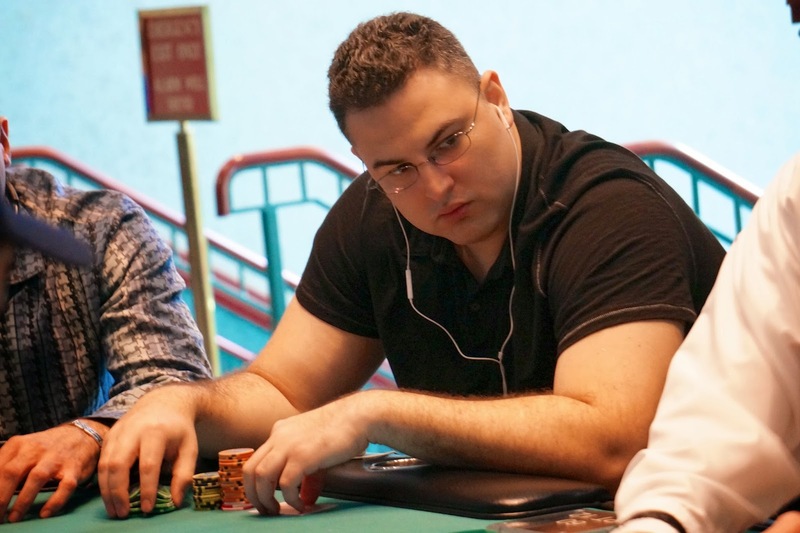 Day 2 of the Foxwoods World Poker Finals Underway and Streaming Live! Day 2 of the $2,700 No-Limit Hold 'em Foxwoods World Poker Finals Main Event is now underway. A total of 160 players survived from Day 1 and blinds will be starting at 300-600 with a 75 ante today. Registration and re-entries remain open through the first level of play today. Final numbers and payouts will be made available after that point. Day 2 will consist of another eight levels of play with a 15-minute break after every two levels. You can view the full Day 2 starting chip counts and seat assignments by clicking here.